Back in January my co-worker (influenced by me) purchased his first motorcycle, a Zero ZF9. It was promptly shipped to our workplace in a large crate/box, it was like Christmas morning for him. 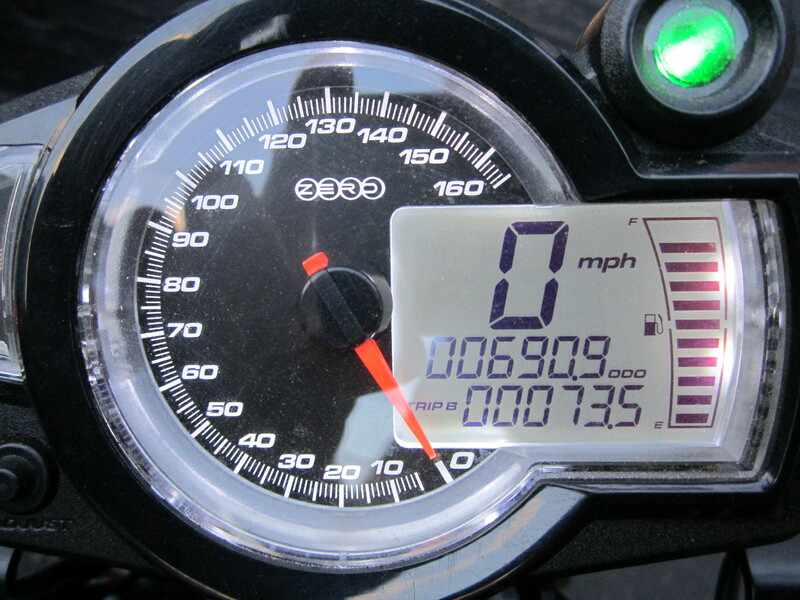 He has now racked over 690 miles in just 2 months! My very first impression was great, Zero does an awesome job with their motorcycles, the frame looks like a structural component that belongs on the space shuttle. The wheels are perfect, nice finish, just the right width and accompanied with a maintenance-free belt drive system! My co-worker was kind enough to let me take it for a ride around Chicago (mind you this has been a very mild January/February here). I got a good feeling for the motorcycle, the handling is great, awesome seating position makes it feel like a dual-cross bike with the grip and agility of a sport bike. As for the acceleration, it leaves something to be desired from 0-15mph where a distinct lag is present. beyond 20mph the motorcycle accelerates swiftly with a predictable feel, this is where the belt drive shines because it truly is beyond quiet! The rear foot brake lever– when depressed the return spring rubs on the frame making an awful sound similar to fingernails on a chalkboard, this could have been solved using a simple rubber cover over the spring or frame. 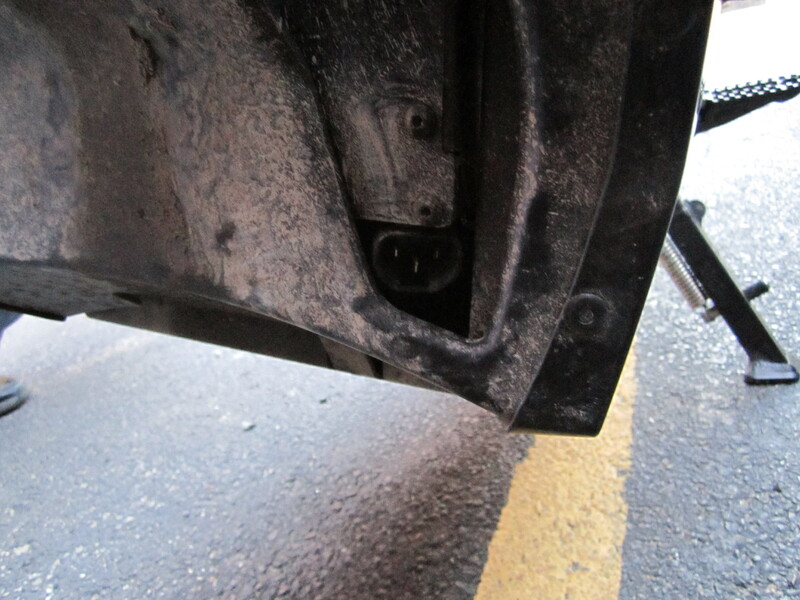 Charge port placement– I will never understand how this got here, it was placed right behiend the front wheel, where every particle of water, dirt, and dust will accumulate. It is also inconvenient to bend way over and plug the motorcycle in there. And on top of all this, there is a nice spot on the center of the top farring (where the gas inlet would normally be) where the charge port could have been placed. Lack of any storage– The seat on the ZF9 is large and comfy, and looking underneath the seat there is a large hollow area where a charge cord, insurance card, wallet, etc…could be stored, unfortunately Zero did not engineer a simple hinge and lock on the seat which disappoints me for a $14k motorcycle. Gas gauge?– Upon activating the motorcycle’s gauges I immediately noticed a gas pump symbol directly next to the battery state of charge gauge. I know Zero had to have completely engineered this gauge to work with their electronics, and to leave that gas pump symbol on there just seems ridiculous. 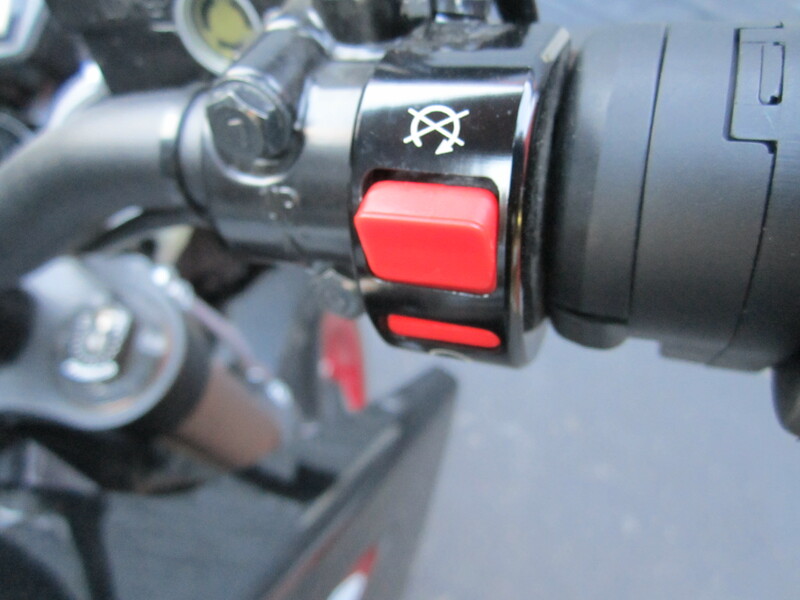 Rubbish kill switch– The kill/power cut switch on the right side handle bar is defiantly of poor quality. The switch binds and is very hard to articulate especially with riding gloves on, upgrading this would improve the fit and finish of the whole motorcycle. 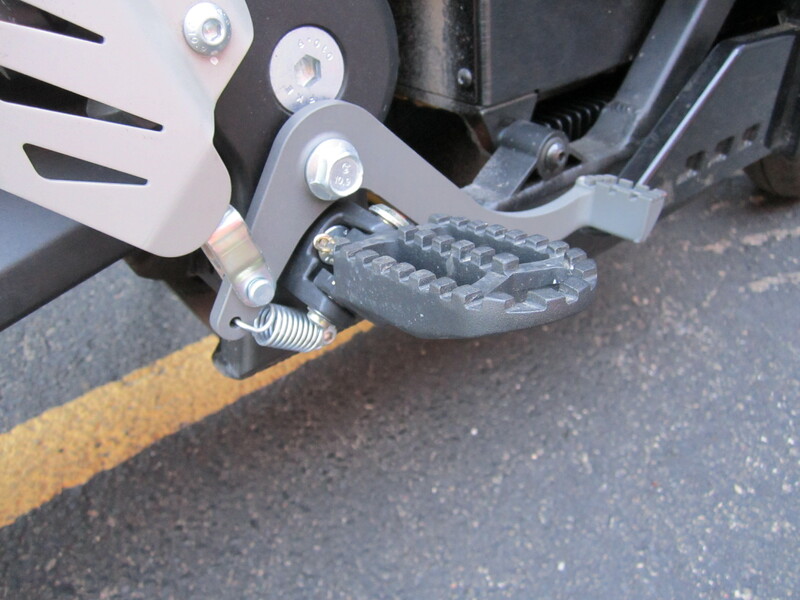 Rear passenger foot pegs– I know my co-worker was very influenced by Zero over Brammo because Zero advertized their motorcycle with the ability to carry a passenger. Unbenounced to him the motorcycle shipped without and passenger foot pegs, and after inquiring with Zero about the issue he was told It would be several months, and many hundred dollars extra for them. 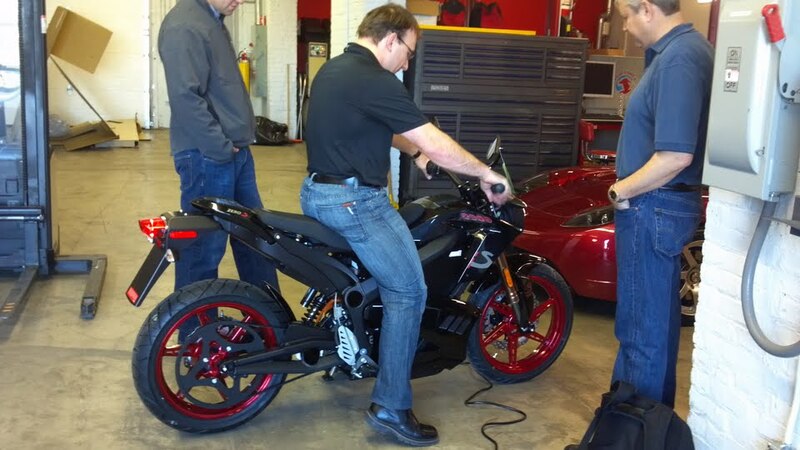 I realize that Zero is a newer company and are trying their best to make great motorcycles, which there doing an outstanding job with! I hope that they can refine some of these small problems with their motorcycles so there even better in the years to come. 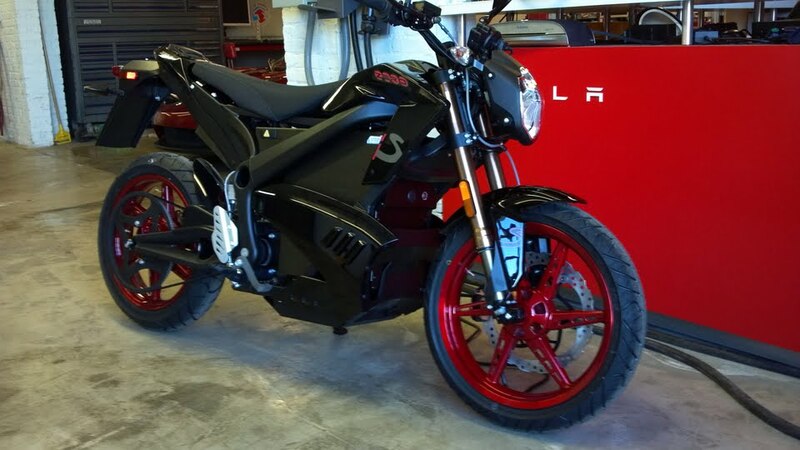 Needless to say my co-worker loves the ZF9 and rides it whenever he can, whether it be 40~60 miles to the suburbs of Chicago, or down the road to fetch coffee, it has proven to be an amazing, well engineered electric motorcycle.